Ours hostel are in ( Soi ) Charoennakorn 14/1 alley. 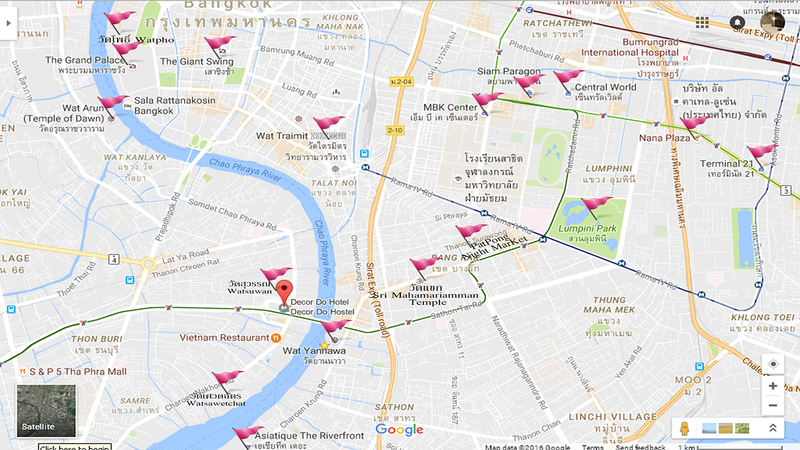 It about 600 meters or 10 minutes walk to BTS Thonburi station which can take you to many place in Bangkok and 300 meters or 5 minutes walk to Taksin piers take a ferry to Shangrila hotel pier which near the begin of Silom road and there are BTS Taksin bridge station there. There are many river transportation here a public speed passenger bus boat can take you to China town Grand palace 8 or a piers near Khao san road in Thai people price. And there are also tourist boat to have a Thai people life sight seeing along the river in tourist price. 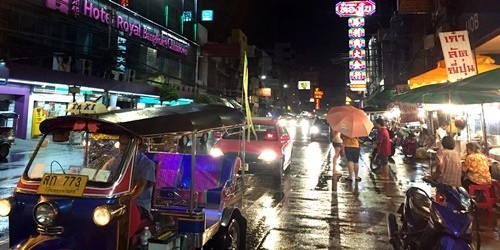 By taxi from ours hostel to grand palace, Khow sarn road, China town, Pat-Pong (Bangkok night life),The asiatique are not more than 100 baht. 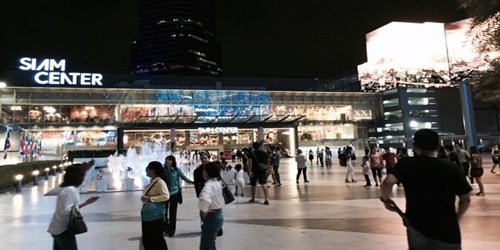 Famous shopping center as Siam square, Paragon, MBK, Pratunam Market, Sukhumvit is not more than 150 baht. (May be cheaper than BTS if you are more than 2 passenger. 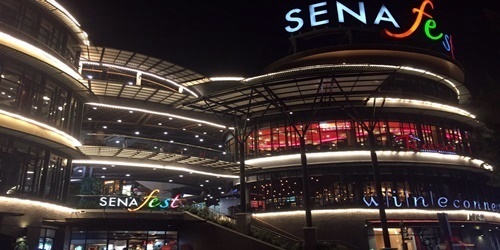 A lifestyle mall to collect shops, leading, fully equipped. Suitable for all ages and abilities to do activities, all in one place, whether it is Villa market, coffee Starbucks and offers a restaurant, also can use the service. The Bank various institutions and famous beauty Institute. Can walk from the hotel. Just take a 3-5 minutes. 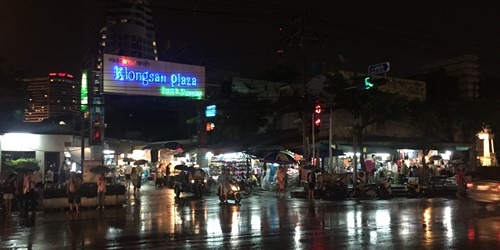 The Klongsan Plaza, located by the Chao Phraya River is the source for many cheap buys. Opened early every morning, the market is filled with both sweet and savoury food items as well as clothes and accessories for all to purchase and enjoy. 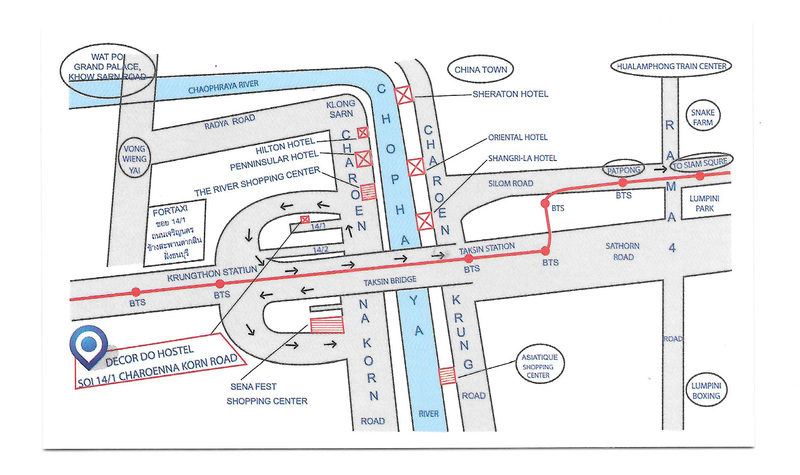 About 5-10 minutes from our hostel to Klongsan Plaza. Attractions and lifestyle shopping Chao Phraya River is the largest in Asia with assimilation, both East and West, to the international restaurant beer and outdoor activities which located adjacent to the Chao Phraya River. 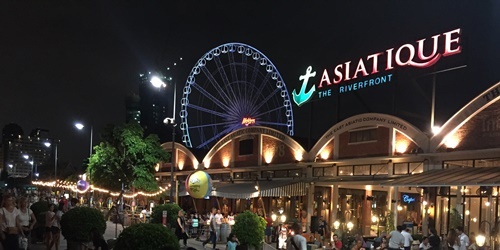 Another point is considered a landmark of Asiatique is "Asiatique sky" a giant ferris wheel. 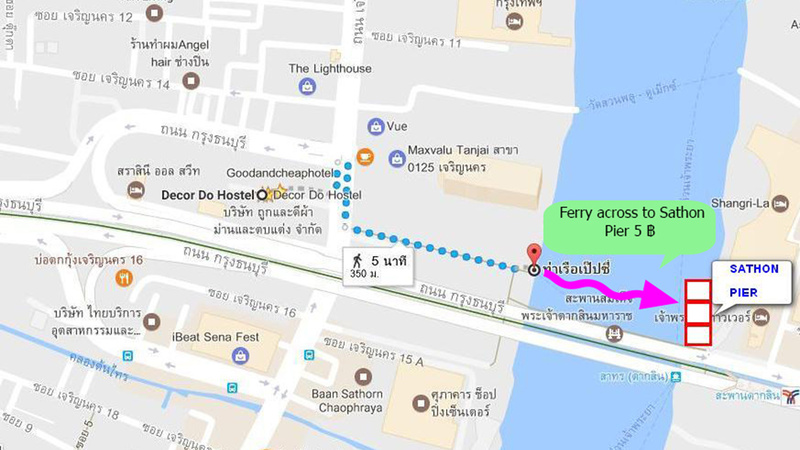 Traveling by car or boat can easily travel from Dé cor do hostel about 10-15 minutes. The China Town district in Bangkok is home to many Thais with a Chinese decent. It is considered one of the epicenter for commerce, with many shops including gold dealerships, restaurants etc... Hence, China Town Bangkok is considered to be one of the must visit landmarks of Bangkok. The special Chinese delicacies that is famous in the China Town district is mostly Chinese cuisine, especially shark fin and birds' nest. There are also many sacred grounds and monuments for people to worship as well. About 10-15 minutes from our hostel to China Town. Silom road is one of the significant business districts of Thailand. There are including the bank head quarter, hotels, office buildings, and enormous shopping mall. In the night time, this road is full of mirthful with many night clubs which available all night for tourists. There are international tourists who demand to spend the night at this street. Furthermore, it is so convenient for tourists to travel to Silom by taking BTS to Silom station. 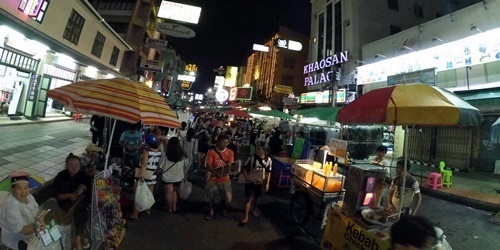 At night, Khao san road is a fantastic place for tourists and thai people because it is filled with the unbelievable atmosphere of tons of restaurants with live music, all kind of drinks and food. Also, along the road will have all sort of inexpensive things and services, including handbags, shoes, shirts, pants, jeans, massage, etc. 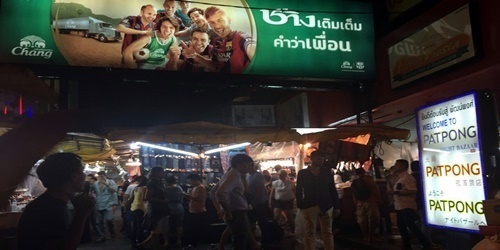 however, these things compounded with Songkran festival makes Khao San road a appealing, memorable, famous place for all people in Thailand. Siam square is one of the well-known places in Thailand as it is located right in the center of the capital city of Thailand, Bangkok, and it is surrounded by many gigantic famous malls, including Siam Paragon, Siam Center Gateway, etc, that provide people with conveniences, unbelievable shopping experiences, all kind of food from all over the world, etc. Moreover, it is also a place where adolescent gathers for hangout, and it takes 15-20 minutes traveling from Decor Do Hostel.